What are veneers and cosmetic dentistry? Cosmetic dentistry is the art of changing someone’s smile. This can dramatically change how a person looks and feels about themselves as well as how others see them. Cosmetic Dentistry varies in cost per case depending on how many teeth are involved. Keep in mind that these changes are a cosmetic enhancement. Like most cosmetic enhancements and plastic surgeries you are improving yourself and the costs are comparable to other self-improvement enhancements. For more details and accurate customized cost, please set up a consultation with our office. Visiting Dr. Safaei and asking about your transformation is the first step in determining if cosmetic dentistry is the right option for you, or if there are alternate solutions available. Communication with Dr. Safaei about what you want corrected is critical for a successful result. Spend time clearly identifying what cosmetic improvements you want to accomplish. You’ll often hear people say that celebrities have veneers and this may seem like the best way to replicate picture-perfect teeth, but each mouth is different and veneers need to be carefully researched. Dr. Safaei will most likely begin with a smile analysis to determine what steps are necessary to achieve the smile you desire. Porcelain veneers have an adhesive layer and contain ceramic layers which replace the original tooth enamel. Approximately only 1 millimeter of original tooth enamel is removed first, which creates room for the porcelain veneer to fit within the mouth. This will accurately restore natural tooth function while creating an even better appearance than the original tooth. Veneers are beneficial if you have broken or fractured teeth, spacing between teeth, and also can help fix minor bite-related problems. Cosmetic crowns are a more resilient option than veneers. These restorations can withstand your biting forces and allow you to maintain normal day to day habits and function. Since veneers are uniquely shaped for each patient, it is nearly impossible to tell the difference between a veneer and a natural tooth. One benefit of veneers, due to their high-tech materials, is their ability to resist stains caused by coffee and tea, as well as stains caused by cigarette smoke. If you have dark or discolored teeth, veneers will give you a beautiful bright white smile. 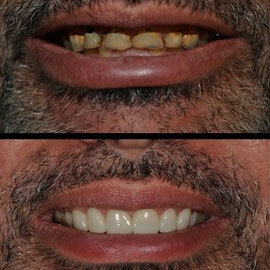 Dr. Safaei may also recommend veneers to fix spacing or gaps, and overlapping teeth. If you have a habit of grinding or clenching your teeth, Dr. Safaei may fit you with a nighttime bite guard so you do not damage your veneers. You should also return to Dr. Safaei for regular professional maintenance because porcelain veneers should be polished with a specially formulated, non-abrasive paste, and because Dr. Safaei needs to inspect your veneers for any sign of potential failure. Some patients are looking for an alternative to traditional dental veneers or bonding. Just as with porcelain veneers, “no-prep” or minimal preparation veneers— so called because they typically don’t require Dr. Safaei to remove as much tooth material—are bonded to the front surface of your teeth. Often, the placement of no-prep veneers can be done more quickly than traditional veneers. 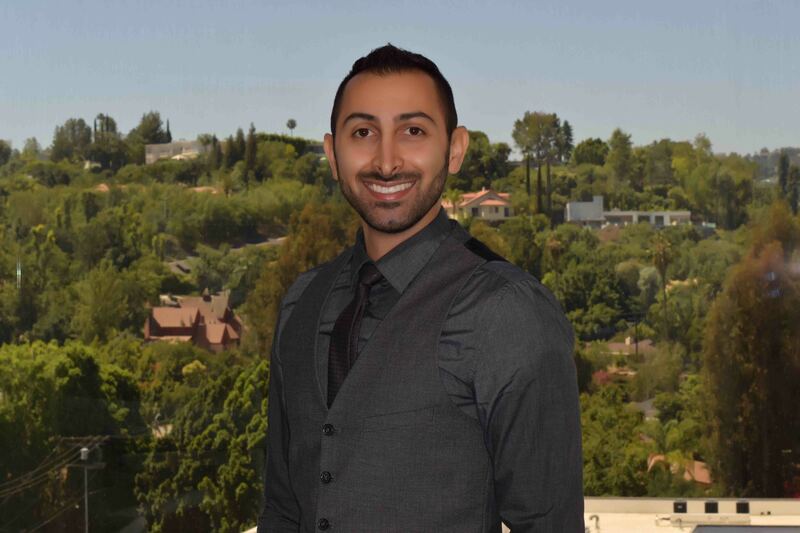 Dr. Safaei will let you know if you are a good candidate for minimal preparation or “no-prep” veneers and if this option makes a sensible treatment plan. View our smile photo gallery.